Is First Blood the traditional action film it’s perceived to be? 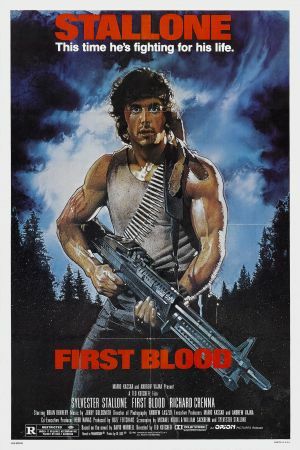 First Blood follows Sylvester Stallone’s John Rambo, a Vietnam Veteran who is on a rampage through a forest and fleeing from local law enforcement. Set in the small town of Hope, Washington, Sheriff William Teasle takes an instant dislike of Rambo, attempting to keep the war hero out of their quiet little town. In many action films, everyday police officers are portrayed as the heroes, this is definitely not the case here. Remaining silent for the majority of the film, Stallone doesn’t retaliate verbally leaving the viewer sat firmly on his side, even after he begins to show his brutal Special Forces techniques. Throughout the film the Sheriff and his men continuously underestimate Rambo, allowing space for his previous Colonel, the well-respected Sam Trautman, to enter the fray and attempt to talk him down off his defensive spree. Trautman also acts as an advisor to the sheriff on matters concerning John Rambo: “A man who’s the best. The best with guns, knives, his bare hands” The introduction of this character mid-way through the film is important to maintain interest and open up a new side of Rambo: conversation. With this comes the predictable but nevertheless interesting past – a feature that’s important to set up Rambo for the franchise. Despite the film carrying a violent and action packed status, First Blood only consists of John Rambo actually killing two people. The fairly fast paced opening 30 minutes consist of a long chase and some incredibly poorly aimed shooting, only for it to finally lead to a quickly assembled log of spikes in the knees which kicks off the violent streak. Once the violent aspect is introduced, it’s evident Rambo will do anything not to be caught by the law. Splitting the film like this is good to build up tension for the fighting and violence to take centre stage. Rambo is a well planned film which can be perceived as an action packed kill fest to those who haven’t seen it – the poster and title don’t help. 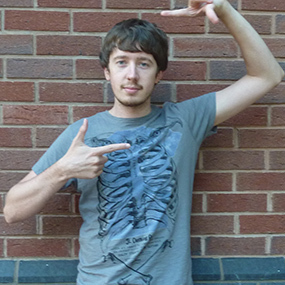 However, for a first in a popular franchise the scene is set for an interesting second film. Owen Richards - "Skyrim is based on fiction."